Pope Benedict XVI waves to pilgrims from the window of Castel Gandolfo on Feb. 28, 2013. 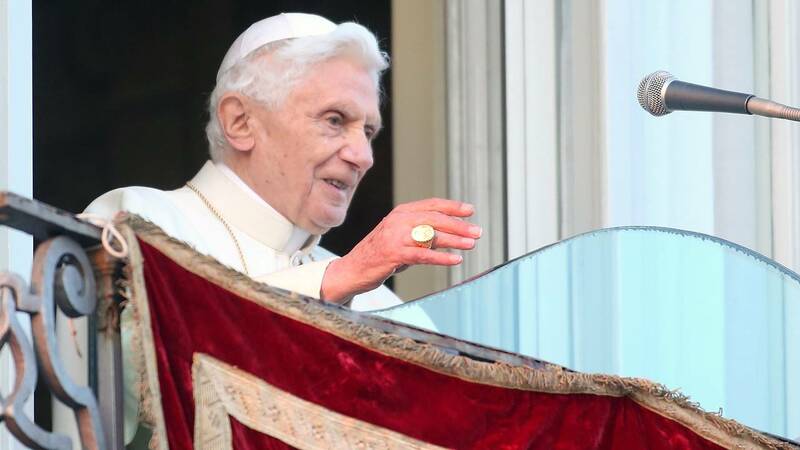 (CNN) - Pope Emeritus Benedict XVI says he "is on a pilgrimage toward Home" in a rare public letter published in the Italian newspaper Corriere della Sera. "It is a great grace for me to be surrounded on this last part of the road, sometimes a bit tiring, by such love and goodness that I never could have imagined," he wrote. The 90-year-old former Pontiff has been living quietly at the Vatican since his surprise resignation as Pope in 2013.